How is Roth IRA eligibility determined? There are a number of relevant factors that are used to determine whether a Roth is the right choice in your specific situation, and also whether you can use this option at all. The first factor is the institution chosen. When you compare Roth IRA accounts make sure that the institution is approved to offer this account type. To be eligible you must use only an approved institution. Another Roth IRA eligibility factor is the amount of your earned income. Only earned income, or income that you get from working or providing a service counts. Unearned or passive income can not be counted towards your contributions. IRA rollover rules only allow one indirect transfer in a one year period, so use care in how you transfer the funds from one account to the other. For many investors the best rollover IRA is a Roth, because the distributions from these accounts are tax free. Roth IRA eligibility has no age limits in place, so even teens and young adults can use these accounts to start saving for retirement. 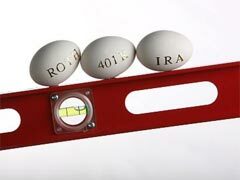 Sometimes it may be necessary to convert a traditional IRA or 401k to a Roth IRA. This Roth IRA conversion is a taxable event and will cause you to owe taxes in the year that the conversion occurs. There are income limits involved with Roth IRA eligibility, and if your income annually is above these limits you are ineligible to start one of these accounts. If your tax filing status is married filing jointly than the combined income of both spouses can not be more than one hundred and seventy nine thousand. Filers who are single, head of household, or married filing separately and did not reside with their spouse at any time of the year have an income limit of one hundred and twenty two thousand. The IRA withdrawal rules should also be clearly understood, because in certain cases a withdrawal may cause you to lose your Roth IRA eligibility for a certain time period.